So what's it doing in fondant? The short answer is that it keeps your fondant flexible and makes it feel really soft. The longer, sciency answer involves the want of sugar crystals to clump and bond. The alcohol component both stops the sugar crystals from clumping and breaks down those bonds a tad. Glycerol is a humectant, meaning is retains moisture. Sugar is also amazing at absorbing moisture, so what glycerol does is gives the moisture somewhere else to go. This stops your fondant from absorbing the moisture in the air and becoming sticky or sweating (especially useful on humid days). You can omit it and many recipes don't have it, but I feel you are lessening the quality of your fondant without it. Make sure you grab the edible kind. There is a petroleum-based glycerine that is not suitable for use in foods. You will find it hard pressed to get the two confused, especially given that you need a liscence to purchase it in many countries. It also smells horrifically bad, so you would not feel the urge to put it in your food. Okay. So. Let's get our equipment ready and begin. 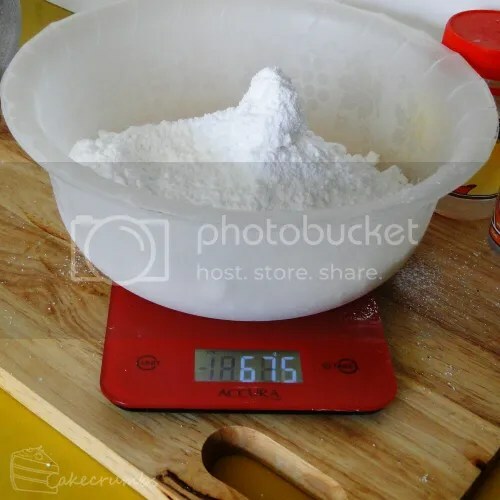 Measure out your icing sugar, but keep in mind you will need to judge when enough sugar has been added. Everything from temperature to fluctuations in liquid measurements will alter this. 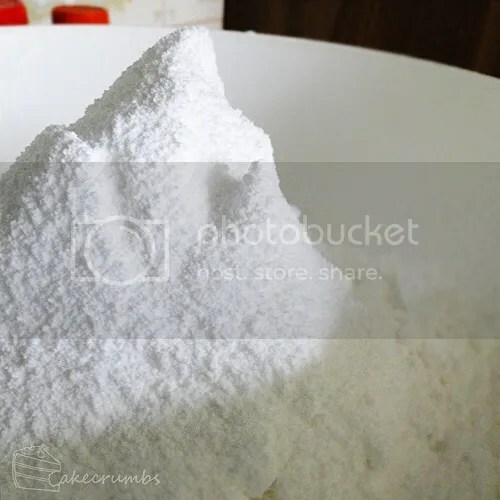 Pure icing sugar, unlike other sugars sold for the purpose of making buttercream etc, has no starch (cornflour) added to keep it soft. As such, it clumps. A lot. I find when I am sifting it, simply shaking the sieve is seldom enough to make the sugar go through. I usually use the back of a spoon to push it through, or for large chunks I simply hold them use the sieve as a grater. This part is by far the longest, most arduous part of the entire process. When making a large batch of fondant, it is seriously a drainer. 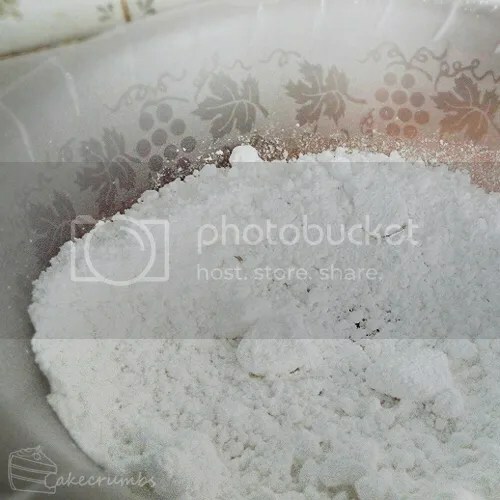 It can take half an hour or longer just to get all that icing sugar through the sieve. I like to pass the time by making mountains out of it and watching for the avalanches. It usually degrades from there to pretending the Fellowship is trying to cross Caradhras and I am bringing the fearsom snowstorm down upon them. "So, Gandalf, you try to lead them over Caradhras. And if that fails, where then will you go?" Here my sister usually gets involved and every time the mountain of icing sugar collapses, we yell, "Nooo, Frodoooo". I'm a total weirdo in the kitchen, But hey, whatever helps you pass the time. So, once the arduous part of making the fondant is done, make like Saruman and bring down the mountain. "Cuiva nwalca Carnirasse; Nai yarvaxea rasselya; taltuva notto-carinnar!" Make a well in the centre of the icing sugar and add all the wet ingredients. 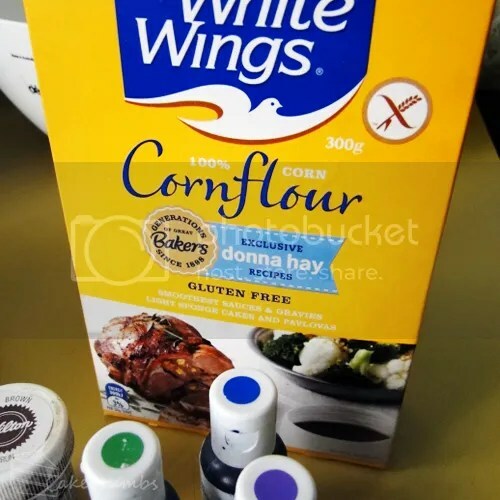 If you are making a batch of coloured fondant, add your food colouring and any desired flavourings here. If you're not precious about it, you can get stick into it with your fingers here. I don't like my hands getting ick so I use a butter knife. Either way, gradually work the icing sugar into the centre. It will look like royal icing at first. Keep working away, it will thicken up really quickly. Once it gets to this point, I switch to wooden spoon mode. Work in as much of the icing sugar as you can. I can usually get it to near completion in the bowl. This avoids getting the bench and your hands covered in sticky fondant. It will try to eat your hands given half the chance. Once you've worked in as much of the icing sugar as you can, turn it onto your bench. 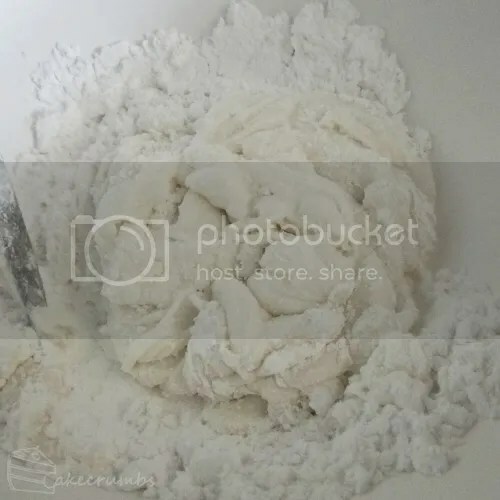 Dust your work surface with icing sugar and knead the fondant until it is smooth and elastic. This is where feel really comes into it. If you've never felt fondant before, I suggest you have a play with pre-made fondant, just so you know what it is supposed to feel like. You want it to be slightly sticky. If you roll it out on the bench without dusting it with cornflour first, it should probably stick. If you knead in too much icing sugar it will become dry and crack, so err on the side of caution if this is your first time. It's better to find you need to add more icing sugar than try to work out how to reverse the process. Et voilla! You now have yourself a beautiful batch of home made fondant that tastes and feels a million times better than most of the stuff you buy. Click for printable version of the fondant recipe. Tips For Working With Fondant. The first time I made fondant, I read all the what-not-to-dos and decided I knew better. "How bad could it be?" I asked myself. The answer is bad. My first few attempts at fondant were trainwrecks. I learned the lessons the hard way, but you don't have to. Learn from my mistakes and follow these 3 easy steps. 1. When not using your fondant, keep it covered. Fondant dries quickly in the air, so it's important to keep it away from it where possible. Once you're done making your batch, wrap it up in plastic. If not using it immediately, I usually glad wrap it, pop it in a freezer bag and then inside an air tight container to leave in the pantry until needed. If I'm working with it, I pop it inside a freezer bag and just take out as much as I need. It will store well for about a week before it starts to dry and crack. This said, you can recover it once this begins to happen. This is the same case for fondant that has dried from overworking. The fondant needs to stay slightly warm to be malleable. The best way to achieve this is by kneading with the palms of your hands. The warmth from your hands is enough to do this. If you fondant has dried out, no matter how far gone, keep picking up those crumbly bits of fondant that fall away and knead on, my friend. If you knead it for long enough you will eventually get a malleable piece of fondant back. This works even if you've used gum tragcanth or similar to produce a hard-setting fondant. 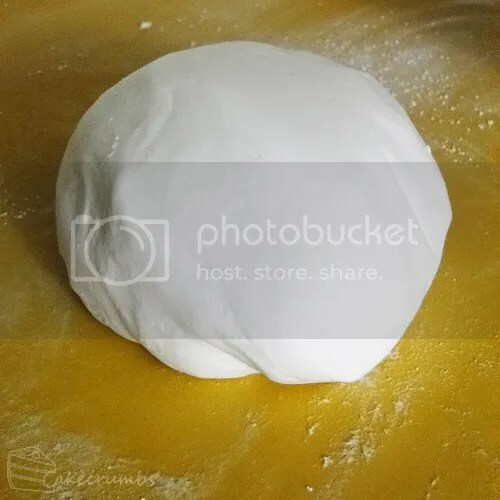 If you have a large-ish amount of fondant that has dried up or wants a faster option than kneading, you can zap it for a few seconds in the microwave. And I mean a few. No more than 5 seconds at a time. Zap, knead, zap some more if needed. You just want to introduce a little heat. I once forgot about a piece of black fondant I had in the microwave and 15 seconds later it was a bubbling, melted mess all over my microwave. If, like me, your supermarkets only sell food colouring of the liquid variety, you may be tempted to use them. I did and decided it couldn't be that bad. It was. Oh how it was. You can get away with it if you only want a light, pastel colour and are adding now more than a few drops. Anything more and your fondant will become limp and unworkable. Your fondant figures will sag, it will be messy. 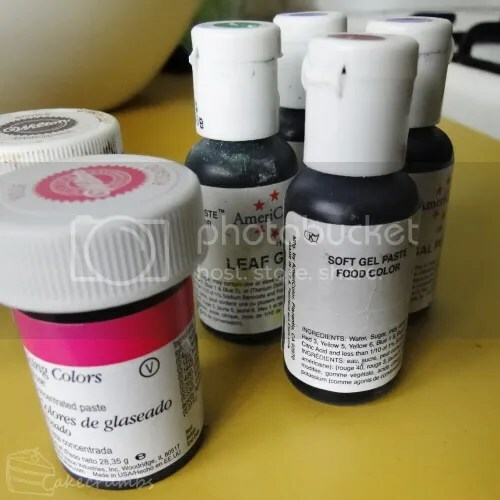 Find a cake decorating or homewares store that sells gel paste. You can also buy them online from a long list of stores. I don't have a preference for brand. I've used everything. I buy whatever brand has the colour I need. You can also use powdered colouring, but I much prefer the pastes. This is potentially one of those things that comes down to preference. Some decorators swear by using icing sugar to dust your work surface, others say it is interchangable with cornflour (a.k.a corn starch). In my experience, corn flour is the only way to go. I've had horrid problems with fondant sticking to my work surface using icing sugar, as well as becoming more sticky itself. 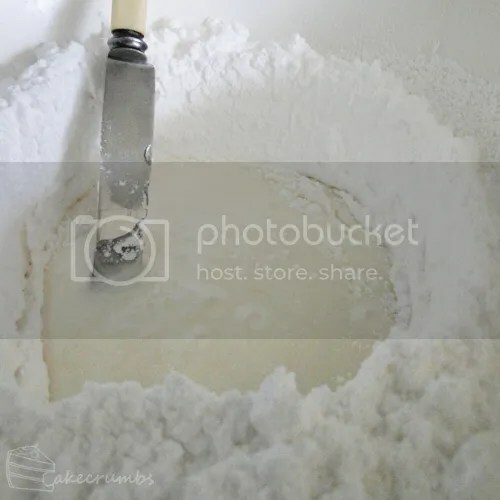 But more than that, I figure that if you are using icing sugar to dust the surface, you are in fact incorporating more icing sugar into your batch. 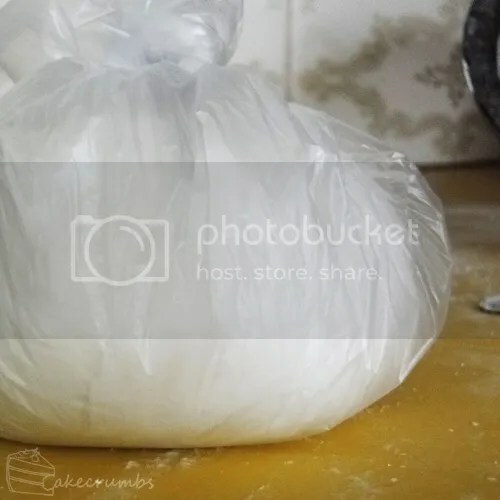 You've just spent the time to make sure you've incorporated just the right amount of icing sugar into your fondant so that it is not too dry, so why would you work in more? The problem becomes exacerbated if you roll out your fondant, go to cover your cake with it and, for one reason or another, something goes wrong and you have to re-roll it. The moment I began using cornflour instead, I ceased having any problems with sticky fondant. Another very informative and entertaining tutorial! Haha. Nerdisms keep me sane(ish). My pleasure. ♥ Hope it helps. Thank you. You are of so much help. I love backing, but there’s still so much to learn and try out! Are you a hobby baker? Question. What is CSR sugar? Btw2, what do you use this fondant for and what is the difference between this and MMF usage wise? 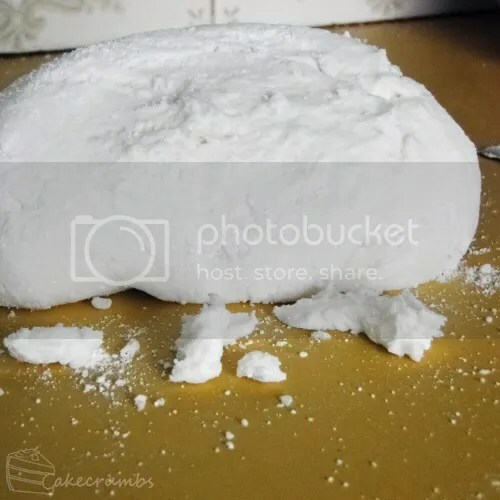 How do I get the fondant (any fondant for that matter) to stick to my cake? I’ve heard you have to put marzipan or chocolate underneath, but I don’t want that! Is there any other way? 1 – Yes, I am a hobby baker. I’m completely self-taught. 2 – CSR is just a brand of sugar over here in Aus. They have everything from plain white sugar to demerara sugar. They’re the best quality (in my opinion) but also the most expensive. But I wouldn’t make fondant with any other but the highest quality icing sugar. 3 – I use this fondant any time I want to make a cake that has more complex designs. I find MMF great for covering cakes, but not great for fondant figures or any modelling that’s especially delicate. 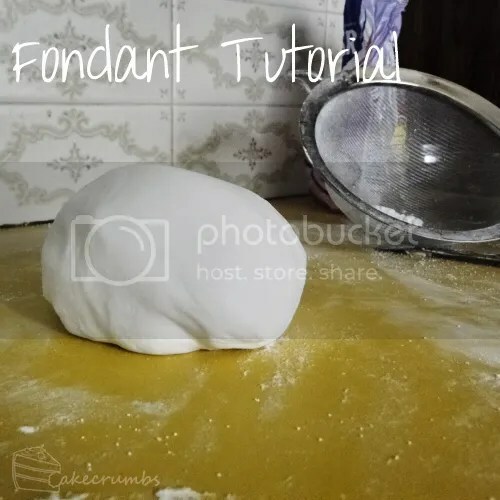 4 – There’s lots of ways to get fondant to stick. I always put either buttercream or chocolate ganache under my fondant, but even when I do that I have to use something to make it stick because I let the buttercream or ganache set before putting fondant on top. 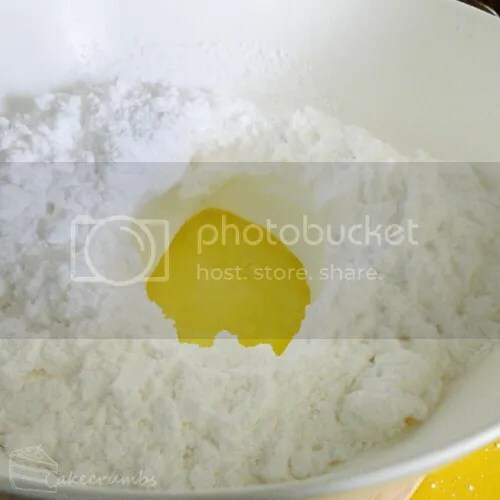 Either way, there are a number of things you can brush the cake with to make the fondant adhere — lightly beaten egg whites are commonly used when putting fondant on an un-iced cake. You may also use any sugar syrup, alcohol (vodka works well), flavouring/essence or sugar glue (there are 1000s of different types or recipes for sugar glue). I often use almond essence for small things. 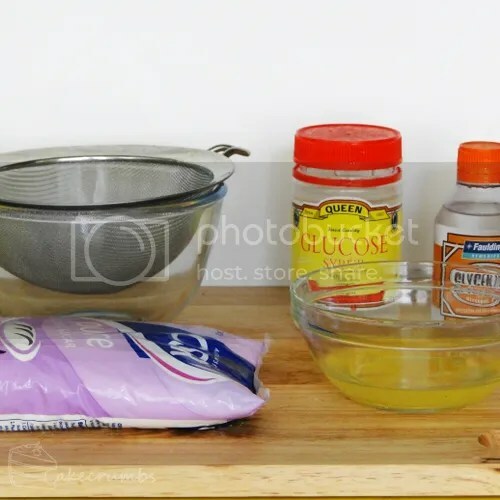 For large cakes I’ll use a sugar syrup or sugar glue. 5 – For the header from memory, I just opened the header/footer section in Microsoft Word, right clicked and the clicked “insert picture”. There’s also usually an option under the “insert” sub menu. You can also use a template for your document that has a picture in the header and just change the picture to one you want. Oh, thank you for your detailed answer! I think I might try sugar glue later. I dunno where to get those essences/flavouring. Thanks for your help! I’m surely gonna ask more questions in the future! I don’t know what to do. The fondant I made breaks and sticks to the bench at the same time. Do you have any suggestions what I could do about that. It’s really hard to say without me being able to see it – If it’s breaking, it may be that there is too much icing sugar in the mixture. As for sticking to the bench, what are you coating your work surface in? Is it particularly hot or humid where you are? I’ve heard kneading shortening into the fondant can help repair it if you’ve kneaded too much icing sugar into it. But it is hard once it’s gone too far. Yeah, but I think we don’t have shortenig here. any tips u can give me to improve plz? Nice explanation. I will definitely try this type.